As it was revealed today, the UFC looks to be returning to Nashville, Tennesse in March as the first fight for the event was reported to be the welterweight scrap pitting Stephen “Wonderboy” Thompson vs Anthony “Showtime” Pettis. Now we’ve gotten word of the next potential matchup which is a clash at heavyweight. FloCombat has reported that a battle between Curtis “Razor” Blaydes (10-2) and Justin “Big Pretty” Willis (8-1) is in the works for the March 23 fight date on ESPN+. This is a rather important matchup in the division of big men as Blaydes currently sits as the No. 4 ranked contender in the rankings with Willis at No. 10. 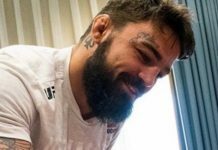 At UFC Adelaide this past month, AKA’s Willis was able to pick up the biggest win of his young career by earning a unanimous decision over the veteran, Mark “Super Samoan” Hunt. The fight would be Hunt’s last in the UFC. Curtis Blaydes, on the other hand, also happens to have a win over the K1 legend in Hunt. 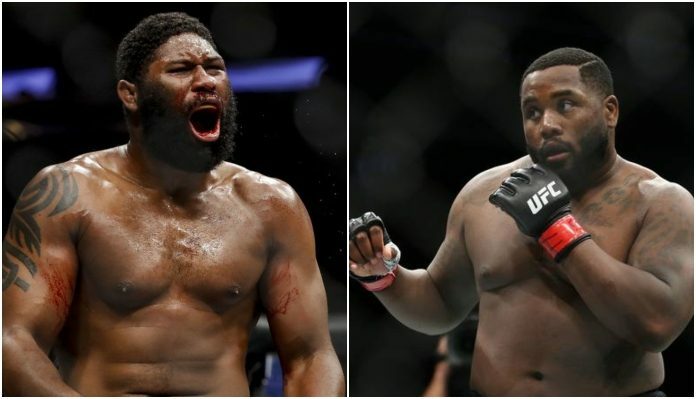 Having only lost to “The Predator” Francis Ngannou in his 13-fight career, Blaydes looked to try and get back that first career loss that Ngannou handed to him in April 2016 as the two met again in November 2018. A great night of Beijing preceded the rematch, and thankfully that was the case as it didn’t last very long. Ngannou only needed 45-seconds this time to put away Blaydes thus snapping his impressive four-fight winning streak. Blaydes will now hope to rebound against Willis who rides plenty of momentum by having not lost since his professional debut. With both men being relatively young for the division, Blaydes in particular who is only 27, it wouldn’t be surprising to see them hanging around the top 10 for the foreseeable future.